Ozzie is just over a year old. He was rescued from a reserve in Northern Quebec when he was about 5 months old. He has come a long way in the short time since his rescue and definitely deserves a forever home. His shots are up to date, he is neutered and crate trained. He is well behaved on and off leash and plays well with other dogs. Despite this, it is recommended that he be placed in a home with no children or older children where his is the only dog. For more information on Ozzie please visit the B.A.R.K. website here. 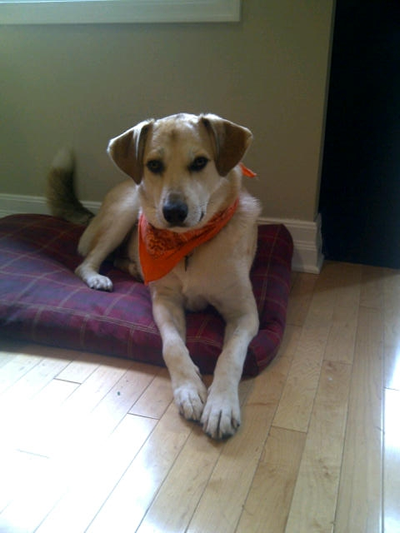 This entry was posted in Dog of the Day, Ottawa and tagged adoption, animal adoption, animal rescue, eastern ontario, ottawa, rescue by Raquel. Bookmark the permalink.